Expedia has some Malibu packages waiting for you. Bundling your flights and lodgings is one of the simplest ways to save money on your adventure. Savvy travelers can save up to 40,450 YEN* by getting a combined package deal on Expedia. You won't need to look through a bunch of different websites for your travel needs. With more than 400 partner airlines and 321,000 properties around the world, our global database has got it all. Don't worry about postponing your family's plans, as we don't charge additional cancellation fees for almost all of our reservations. Preparing for your trip to Malibu? Looking for some tips about what to see when you get there? That's where we come in! Need to impress your special someone? Treat them to a sunset walk along the shore at El Matador State Beach. Still got some time on your hands? You never know what treasures could end up on the shore at Point Dume State Beach and Preserve. Take off your shoes and stroll along the water to see if you find a colorful starfish. A vacation is a good time to slow down, recharge and unwind. It's also the perfect time to open yourself to new experiences! Head to our Malibu things to do page for a complete list. With 15 accommodations available, you won't have any troubles finding a terrific place to stay. Reserve a bed for your next luxury getaway or cheap vacation via Expedia and enjoy a good night's sleep in Malibu. 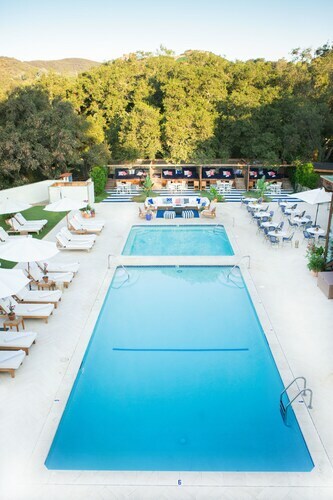 The Calamigos Guest Ranch and Beach Club (327 Latigo Canyon Road) and the Four Seasons Hotel Los Angeles at Westlake Village (2 Dole Dr) excellent accommodation options. Why not have a look at the amenities and then select one? Los Angeles International Airport (LAX) is the gateway for most travelers heading off on a trip to Malibu. It's situated 25 miles (40 km) from the center of town. 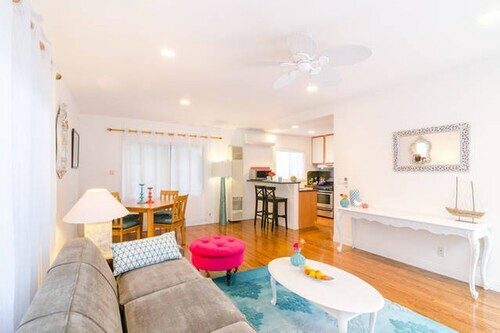 Nestled on the beach, this Malibu apartment building is within a 10-minute walk of Malibu Pier and Malibu Lagoon State Beach. Las Tunas State Beach and Topanga State Beach are also within 6 mi (10 km). 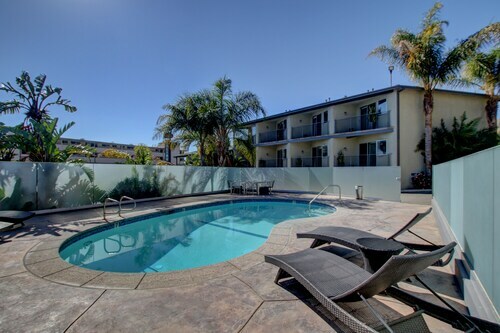 Situated near the beach, this hotel is steps from Malibu Pier and Malibu Lagoon State Beach. Pepperdine University and Las Tunas State Beach are also within 6 mi (10 km). 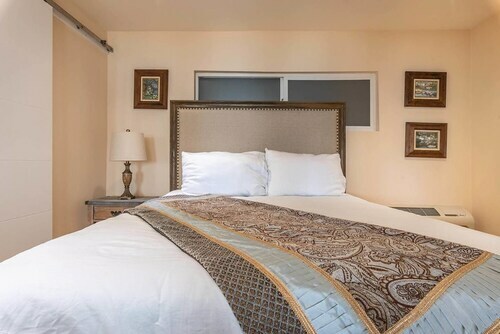 Situated in Malibu, this motel is within 1 mi (2 km) of Malibu Pier and Malibu Lagoon State Beach. Pepperdine University and Las Tunas State Beach are also within 6 mi (10 km). 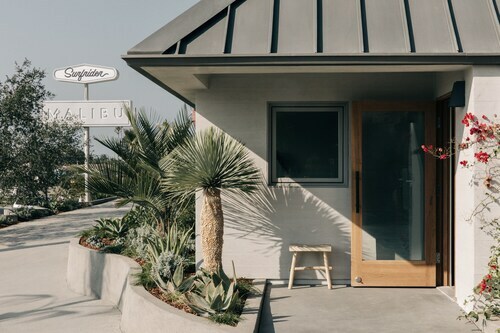 Situated in Malibu, this vacation home is 2.3 mi (3.7 km) from Topanga State Beach and within 6 mi (10 km) of Santa Monica Beach and Malibu Lagoon State Beach. Pepperdine University and Malibu Pier are also within 6 mi (10 km). 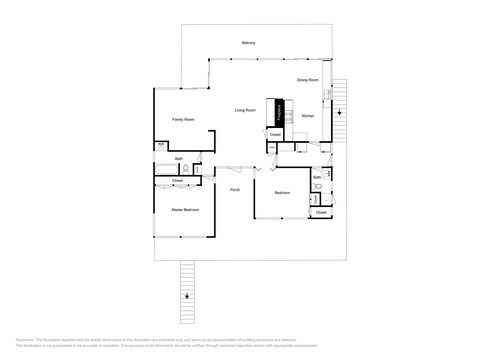 Situated in Malibu, this cottage is within 6 mi (10 km) of Getty Villa, Santa Monica Beach, and Malibu Lagoon State Beach. Pepperdine University and Malibu Pier are also within 6 mi (10 km). 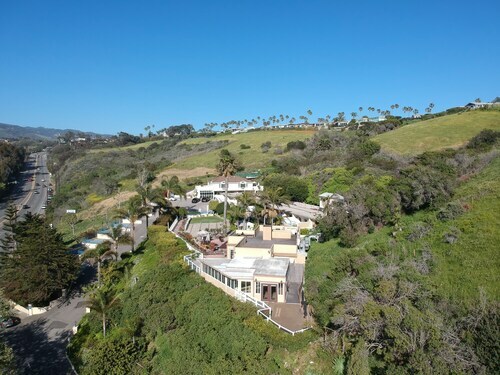 Located in Malibu, this beachfront vacation home is next to a golf course, 2.4 mi (3.9 km) from Malibu Lagoon State Beach, and 2.6 mi (4.2 km) from Malibu Pier. Zuma Beach and Paradise Cove are also within 9 mi (15 km).